Last Sunday, my mother sent me home with five lemons. It is a problem with her - buying things, or quantities of things, she doesn't need and cannot possibly use. I love her dearly, but she has almost zero need to shop at Costco, where you can't buy less than a dozen lemons at a time. And truth be told, some of her dinners in which he utilizes the citrus is almost always overdone to the point of not enjoying it. Yet, I keep my mouth shut and clear my plate like a good boy. My sisters and their families don't say a thing either, so either they're trying to be nice too, or they don't notice it. Or it's just me. 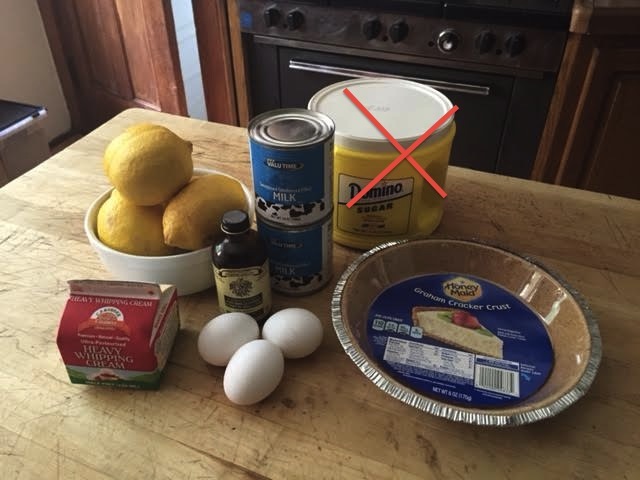 But I took the lemons and 710 suggested a dessert and not put them in my cooking, as he experiences my mother's use of over-lemoning things the same was as I.
I immediately came to the thought of an America's Test Kitchen show that had Lemon Icebox Pie. Bridget made it seem super easy, so why not. 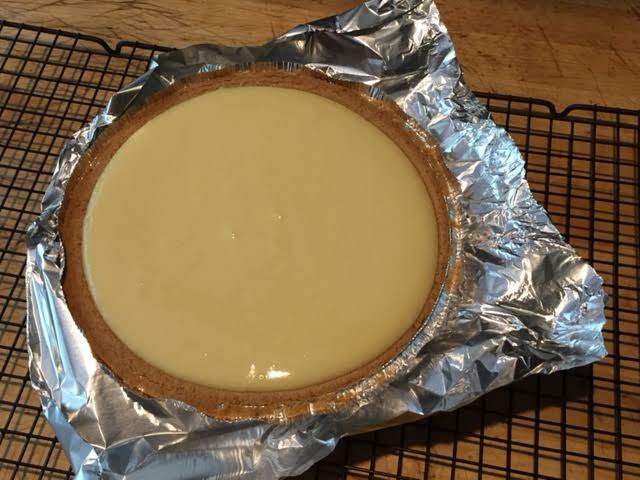 And since there was no way I was making a crust, it was going to be super SUPER easy. And it was. The recipe called for sugar, but you can see I X'd that out. That is for the crust, which I did not make. Store bought was just fine. 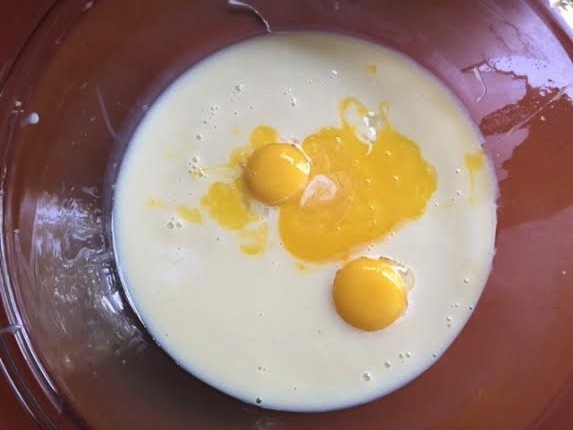 Whisk the three egg yolks and condensed milk (save 3 T) together until smooth. I've never used condensed milk. It's kind of gross. Wayyyyy too thick. 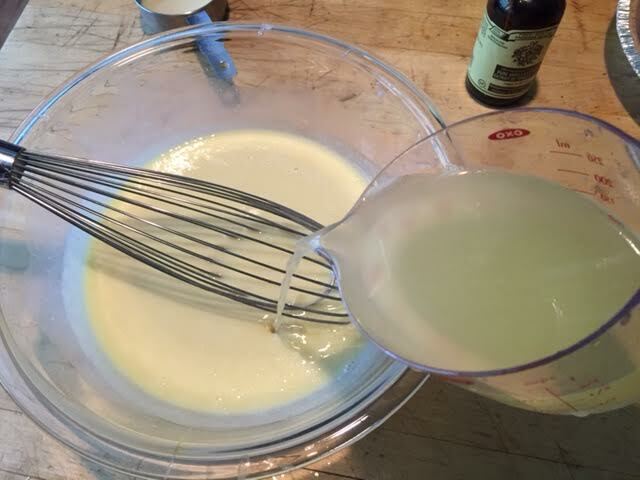 Then whisk in the lemon juice. I thought the extra 2T would be for the topping, but it wasn't. 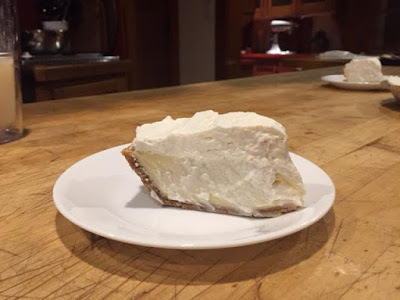 It is just for additional lemony goodness. Poor into shell and bake for 15-18 minutes in a pre-heated 375F oven. Middle should still be "jiggly" but the outer rim should be firm. Let cool on wire rack for an hour, then into the fridge for 3-24 hours. 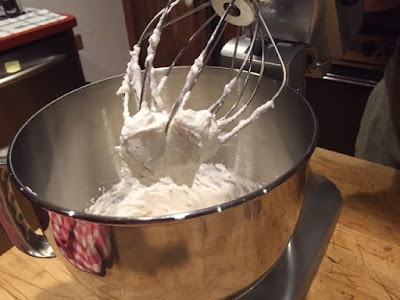 So you can totally make this ahead of time. As for the topping, you can make after the pie chills. 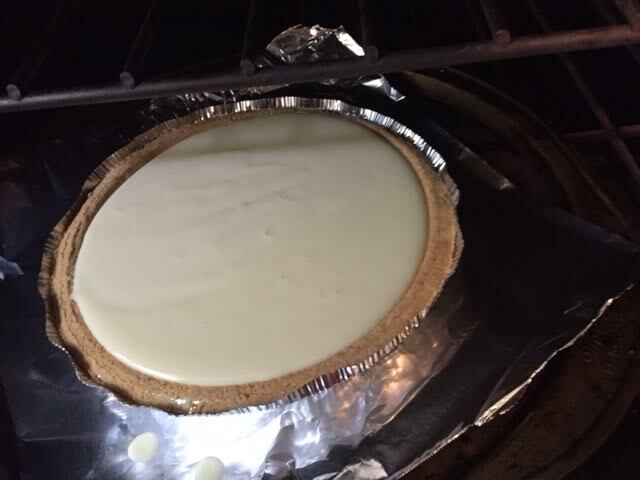 I made it right before serving, but since we only had one small piece each, the entire pie does get covered. 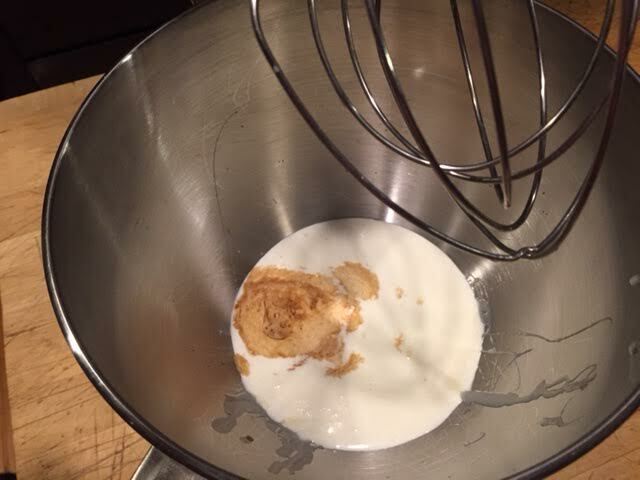 In a stand mixer, put cream, rest of condensed milk and vanilla. Run on med-low for 1 minute. Then run on high for 3-4 minutes or until you get stiff peaks. Cover the pie with the whipped topping. 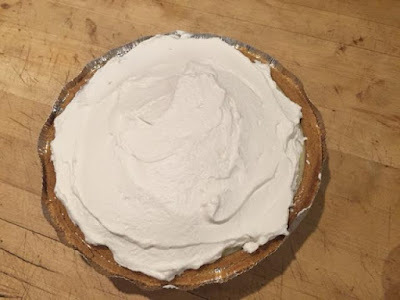 The pie and topping are both very light. It has a great, but not overpowering lemon taste. This would be great for a party, but as it is now, we have about 8/10 of a pie left for consumption. I'm sure we will take care of that though. this looks good; we like lemons, so...and I totally agree on buying a pre-made graham cracker crust. in the year before she passed, my MIL was buying crap she would never eat; after she passed, spouse and his brother cleaned out the cabinets and he came home with stuff we like. wonder why people do that? I use lemons all the time in cooking, just for a zing, in dressings soups, stir-fries. I like a little acidity sometimes. Looks so good. Wonder if I could make it even easier and top with whipped cream in a can?